Results of a new poll conducted by YouGov for the Press Association suggest some 22% of British festivalgoers have faced some kind of unwanted sexual behaviour at a music festival. This figure rises to almost one in three (30%) for just women, and almost half (43%) for women under 40. Of those that have experienced sexual assault or harassment at a festival, only two percent go on to report the incident to the police. This severe under-reporting is representative of the issue on a wider level – a crime survey for England and Wales noted last year that 83% of victims do not report their experiences to police. 1,188 festivalgoers were surveyed to find this new information. It is thought that it is the first data of its kind. Tracey Wise, founder of Safe Gigs for Women, says: “We have struggled to find anyone with any definite statistics on this before now. The report is particularly timely after a proposed ‘upskirting’ bill was blocked last week by one Conservative MP vote. Gina Martin, the woman responsible for the bill being put to parliament, was at British Summer Time in 2017 when a man sexually harassed her by taking a picture under her skirt. Writing for the BBC in 2017, she explained festival staff and police had been sympathetic to her cause – saying that the incident was harassment – but that there was little they could do because the law made it difficult to prosecute the act. Though the report has no such data for upskirting, it does note that forceful and unwelcome dancing and sexualised verbal harassment were the most common forms of unwanted sexual behaviour at festivals. 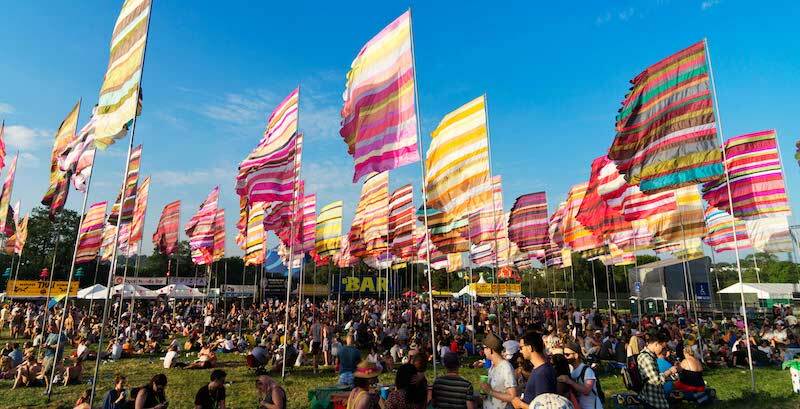 Despite cases like Gina Martin’s and the statistics which suggest reporting of sexual offences is so low, Paul Reed, chief executive of the Association of Independent Festivals says festivalgoers should still report problems. “People shouldn’t feel that they need to tolerate the type of behaviour [at festivals] that they wouldn’t tolerate in the street. To try and combat the seemingly ever-present issue of sexual harassment and assault at music festivals, more than 60 members of the Association of Independent Festivals signed an anti-sexual harassment charter last year. Free entry at festivals for volunteers Nonprofit Caudwell Children is looking for fans to volunteer at UK festivals including Glastonbury, Reading and Bestival, in exchange for free entry.